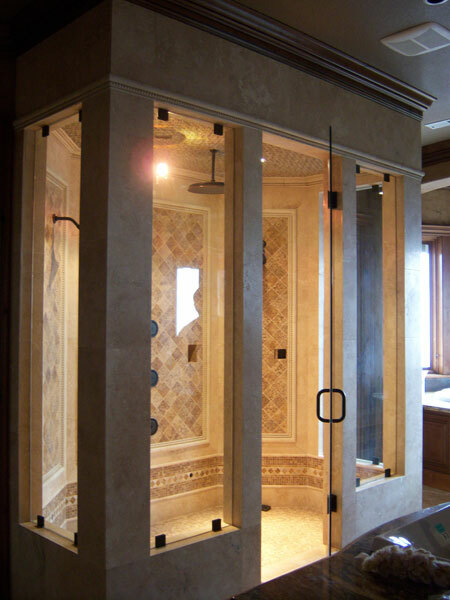 Choose a fixed or movable transom with a clear vinyl seal to keep the steam inside the unit. We offer 1/4”, 3/8” and 1/2” glass thicknesses. Our most popular glass choice is Clear but you can also choose from Rain, Satin Etch, Glue Chip and Starphire glass. Metal finish colors available are Chrome, Brushed Nickel, Bronze, Bright Gold and Other Special Order Colors.